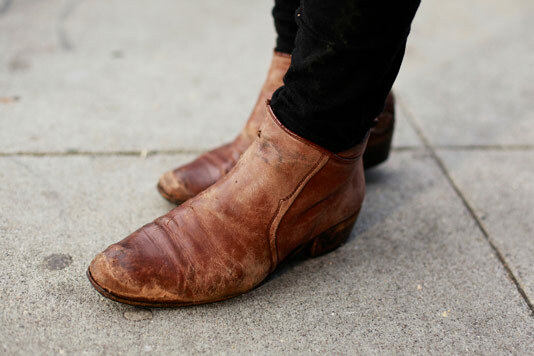 "I'm a jeweler so I like big vintage, time-worn pieces. Anything that looks time-worn, anything old and vintage." You can find Claire Hummel's jewelry at Bell Jar in SF. 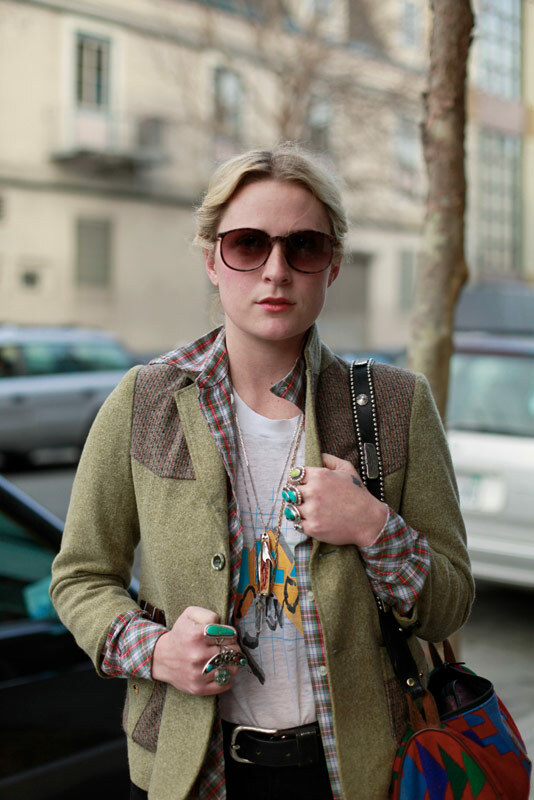 Love the texture, pattern, and print in her layering of t-shirt, western shirt, and wool blazer. I also love her bright turquoise rings and badass attitude. woaw where did you get these boots ? they are per-fect !